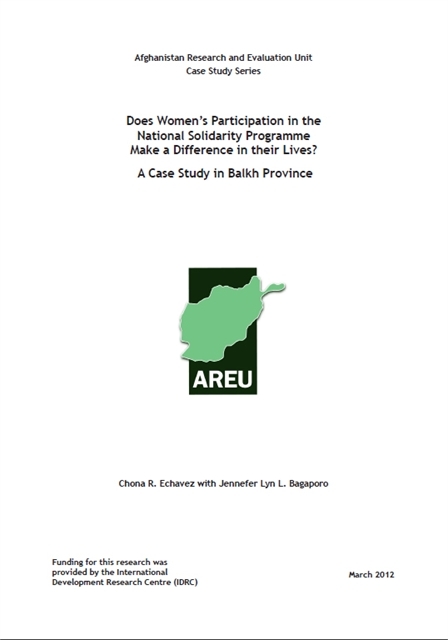 This case study examines women’s participation in the National Solidarity Programme (NSP) in a Pashtun-majority community in Balkh Province. It finds that despite women’s weak involvement in actual project implementation, the NSP offered them an unprecedented chance to take part in activities outside their homes, an opportunity to be involved in community decision-making, and a venue to collectively explore and express their capabilities. While often fragile, these developments were seen as significant positive changes by those involved.